Thank the lord of sea and sky! Based on our rumored class (which the Godfather’s inclusion had seemed to showcase was correct), it looked like 2016 was going to be the worst class since 2011. But fret no more!, The Big Boss Man has come home. 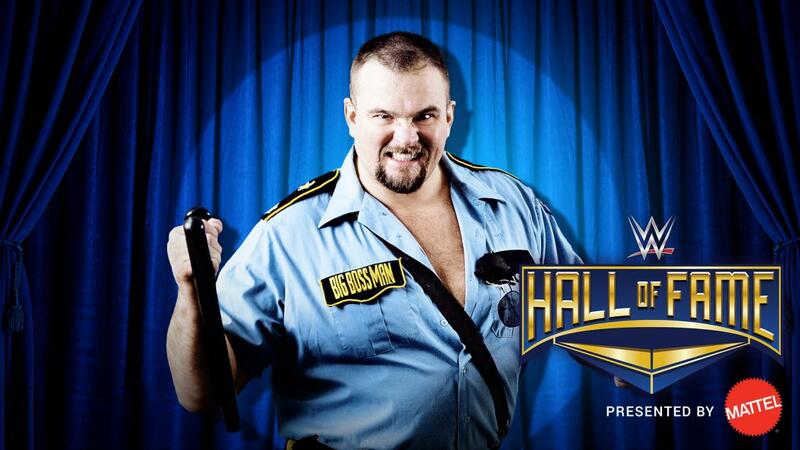 Ray Traylor, aka the Big Boss Man aka Big Bubba Rogers aka The Boss aka The Guardian Angel (there are likely others), is one of those characters who made his mark on WWE and has been embraced as an important figure. He did float into the main event as a foil for Hulk Hogan in 1989, and had a successful return to the WWE in 1999 with the Corporation, serving as their muscle. Traylor died in 2004 and it has hurt his chances of induction (WWE is known not to like to showcase more than one deceased wrestler year) With Bam Bam Bigelow, Rick Rude, Ray Stevens, Bruiser Brody, Andy Kaufman and many other deceased wrestlers still waiting, it is nice to be able to take the Big Boss Man off that list. Welcome home Boss Man! We will all now be Serving Hard Time! Check back for my full breakdown on the Boss Man. 2016 Class is looking quite okay now. This entry was posted in Class of 2016, WWE Hall of Fame NEWS. Bookmark the permalink.